The impact of the rise of visual content on social networks is most apparent on Instagram. As a result, many brands are scrambling to understand how to best use Instagram benefits. Instagram’s rise has been astronomical – and understandably so. Instagram is so huge because building a social network that connects people solely through visual elements is a powerful way to capture – and sustain – our attention. To build an Instagram marketing strategy, you need to understand why these graphics are so valuable and how to create the right images for Instagram. Using Instagram on your site allows you to connect with customers across multiple channels and increase cross-channel engagement. For example, let’s say you display photos from your Instagram account on your website. When a customer is browsing on your site, they may not follow you already on Instagram. 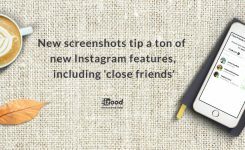 But when they see a gallery of Instagram photos, they can click though to see your account, start following you, and re-connect with you later. We’re all crunched for time, but using Instagram photos in your ecommerce marketing plan allows you to work smarter, not harder. You already need a social marketing strategy, so why not repurpose those photos across channels and leverage them as marketing images on your site or in ads on Instagram? This saves you the trouble of needing to create more content. Another benefit of using Instagram pictures is that traffic that comes from these photos is super-engaged. Instagram drives more engaged traffic than any other social channel. Research shows that when comparing time on site from various social channels, Instagram beats out other sites like Facebook, Pinterest, YouTube, Reddit, and more. 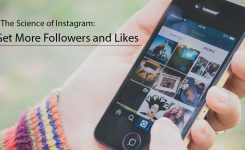 Instagram helps you engage with your audience on the social platform, increasing the chance that you can bring customers back for repeat purchases. If someone buys from you and then follows you on Instagram, they’re likely to see your brand on a regular basis and purchase from you again. And return customers are more valuable, accounting for nearly 33.3% of the overall money spent in ecommerce and spending nearly 3x more than regular shoppers. If you don’t already have solid user-generated content marketing strategies to increase sales, it’s time to jump on board. It’s the single most effective way to grow relevant traffic and sales. Instagram has the potential for user-generated content built in. On Instagram, customers are constantly creating and sharing images of their own. With their permission, you can use their images for your own marketing. You never want to invest already tight Instagram resources in content that won’t perform well. Luckily, on Instagram, you already have feedback about how your audience will react to content before you take up valuable real estate on your website or shell out money for Instagram ads. Before choosing content for your Instagram UGC campaigns, you can measure the results of how it was received on Instagram. This allows you to choose the photos that customers liked most on Instagram and then display them on your site, rather than guessing which product photos will perform best. Instagram pictures tend to be aspirational, meaning that they show us a peek into a life we’d like to lead. People Instagram the best moments of their life: the most beautifully arranged meals, the perfect beach sunset, the awesome road trip up the California coast. At the most basic level, Instagram pics convert because they’re aesthetically pleasing. Photos from Instagram are special – saying something has been “Instagrammed” means something. 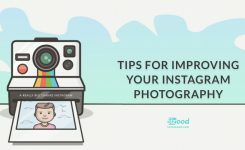 There you have it – the top ways to sell more effectively on Instagram and off by using the power of Instagram photos to your advantage in all marketing materials.